In Semarang, taxi is everywhere. Small buses are visible going by the city streets. They go to different parts of the city. You might want to ask the locals before taking one of those city buses. 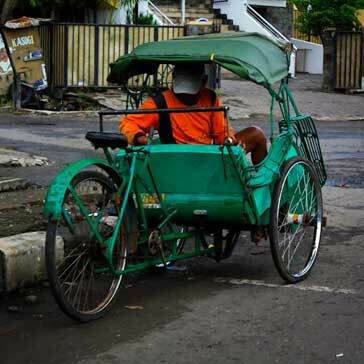 "Becak or rickshaw (trishaw) is a pleasant choice to feel the breeze in Semarang while you enjoy the city scenes. When visiting Kota Lama, take one of those becaks, and enjoy the relaxing ride."